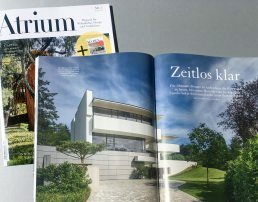 Sonnenberg House in the new ATRIUM Magazine 3.2019 Available now! 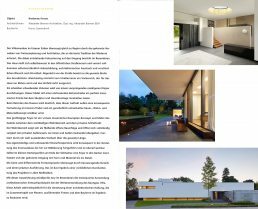 Die Projekte SU House und das fast fertiggestellte Parler Research House PR39 in einer 90minütigen Dokumentation des SWR Fernsehens über Villen im Südwesten Deutschlands, Dezember 2018. 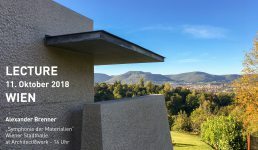 Die vollständige Dokumentation ist bis 27.12.2019 in der SWR Mediathek abrufbar. 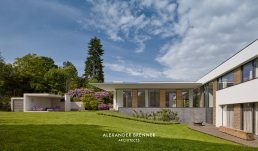 In 2018 Alexander Brenner created two new designs for Listone Giordano, the famous italian manufacturer of wooden flooring. 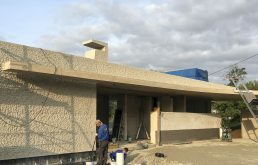 The first of the two designs to be produced is Between, which will be available from early 2019. 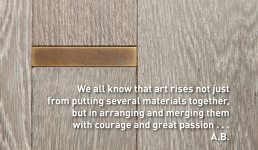 Between is a melange from brass and oak, inspired by the stars. 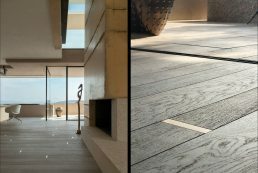 A treatment with a water-based reactive stain which reacts with the natural tannic acid of the oak results in a deep, warm, greyish hue. Wood and brass, a liaison between contrasting materials merged in a serene lightness reminds us of earlier times. Inspired by the starry sky, by used barrique barrels, by old parquet with inlays it appears familiar and yet it`s brand new in this way. 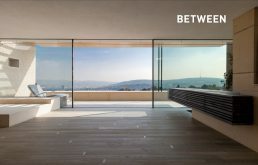 Between was first presented in Berlin, November 2018. 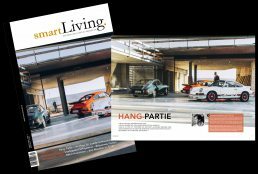 Two new Books, containing two and three of our projects. 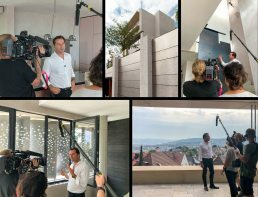 Shooting for the German SWR Television „Villas in the south of Germany“ in our nearly completed Research House PR39, Stuttgart. 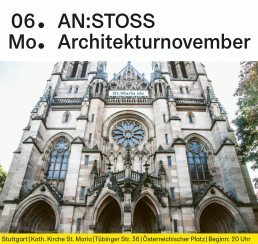 The program will be broadcast in late December. 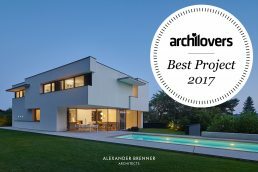 Our Project Haus am Wald has been selected as one of the "Best Projects 2017" on Archilovers. 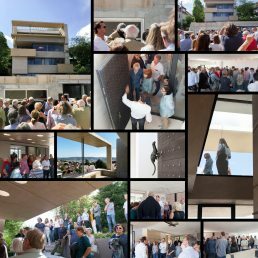 That was our 2017 . . .
We received the BDA Award 2017 for Bredeney House this week. 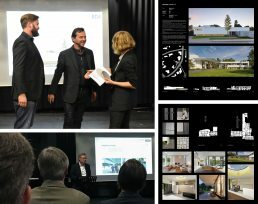 Thanks to the Jury and the BDA Essen. 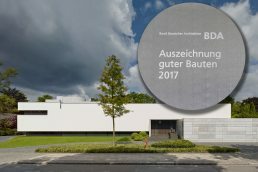 Zum Auftakt des Architekturnovembers 2017 des BDA Baden-Württemberg diskutieren 5 Stuttgarter Architekten über das Thema “Stuttgarter Schulen: Architektur zwischen Pietismus und Passion“. 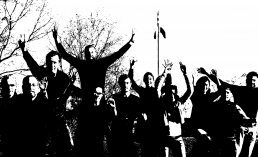 Mit dabei sind Fritz Auer, Arno Lederer, Tobias Wulf, Peter Ippolito und Alexander Brenner. 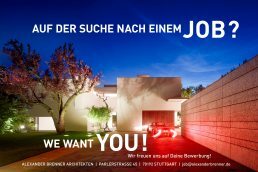 Moderiert wird die Veranstaltung von Petra Stephan und Uwe Bresan, AIT. 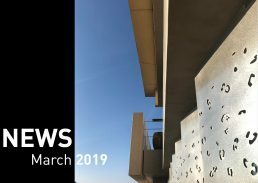 Our beloved Babies - the Parler Research Houses - have reached their final height. 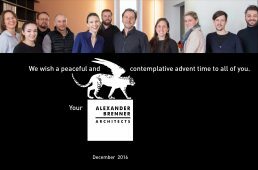 Thanks to the fantastic people who made it become real! 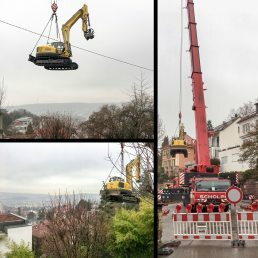 Spectacular Excavator flight over Stuttgart :-) For our latest project "House Rudolph" the groundworks will start soon: Removing the soil and building retaining walls. 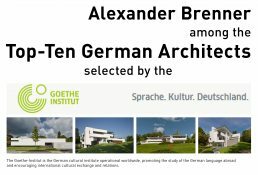 Selected as one of the Top-Ten German Architects.